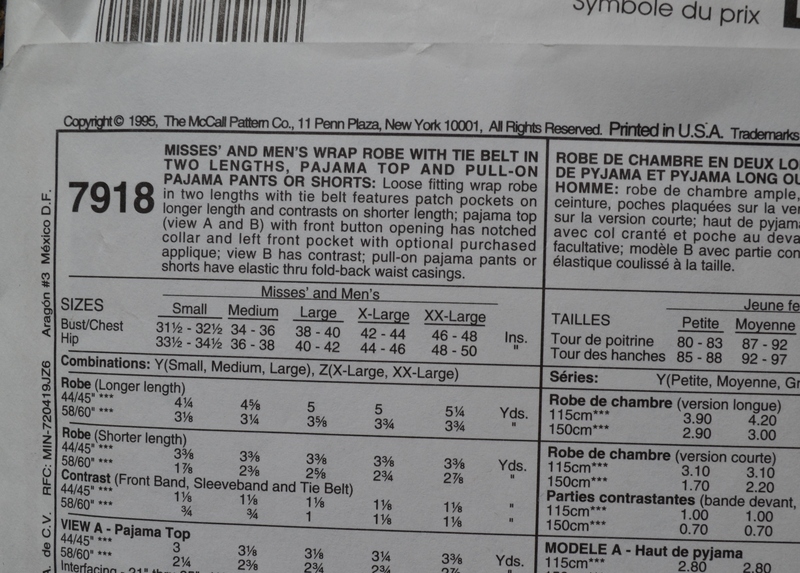 In the past week I did some wandering through part of the pattern stash accumulated by my mother. She sewed most of her life and worked for a number of years in a small independent fabric store in Inverness, FL, now long closed. 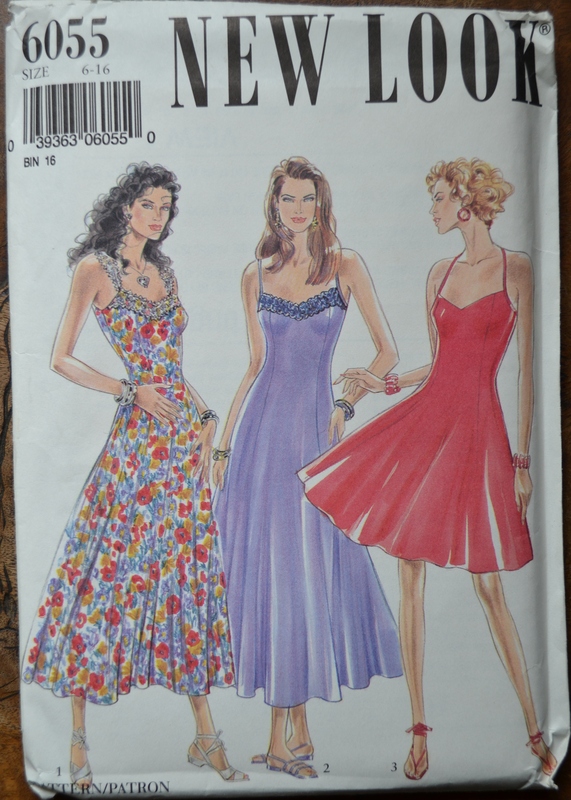 Of course she has many, many uncut patterns, and most are from the 1990’s, not my favorite fashion years. There were some patterns I found interesting and maybe even usable. The copyright in the left corner shows 1995. 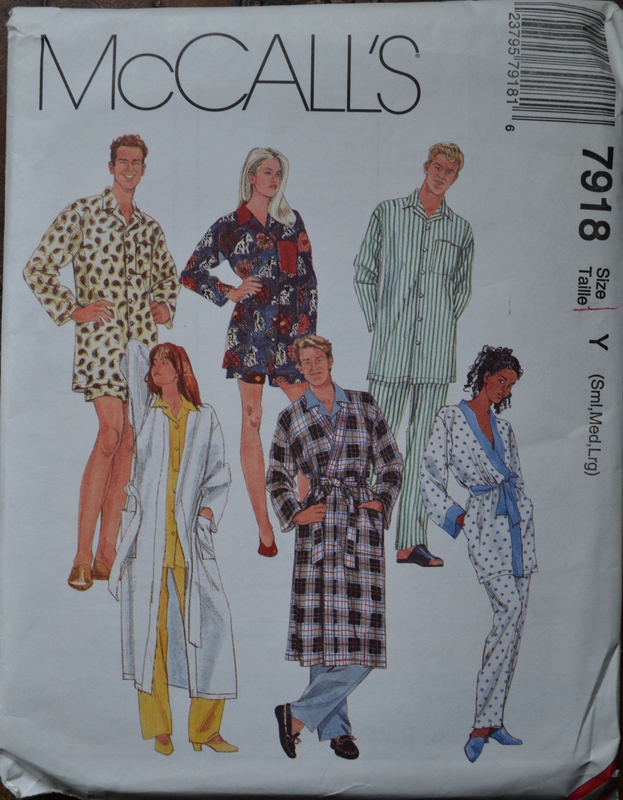 There’s only so much you can do with classic pajamas, the shirts are shorter now and a styles are trimmer overall, but doesn’t one of the guys in the illustration look like Ryan Reynolds? Was he around in 1995? 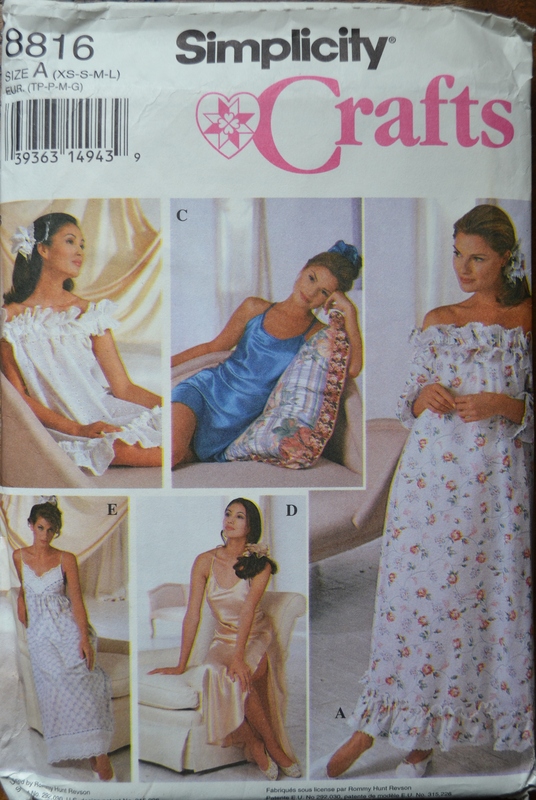 Nightgowns for women were a craft? Is that because in 1994 crafting was popular and sewing wasn’t? Or because of the hair accessory included in the pattern? I heard scrunches were making a comeback. Views A and B are a little pajama party meets square dancing, but views C and D could be made today and look current. A basic t-shirt in 1992 had shoulder pads. The power t-shirt, for when the occasion calls for a more casual look than the power suit. And now that the high waisted pants are back, will shoulder pads follow? 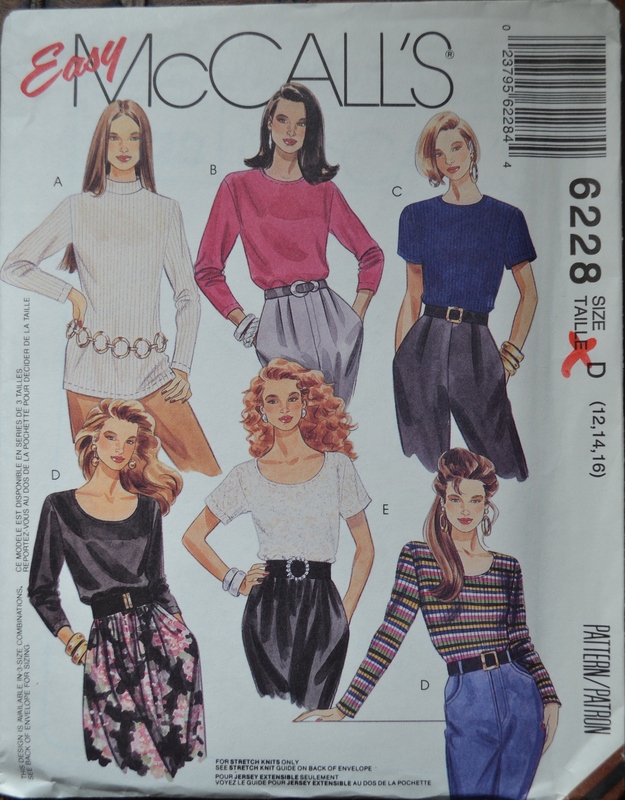 The New Look patterns do not have copyright dates, but this screams 90’s. You could hide a small child in those sleeves. 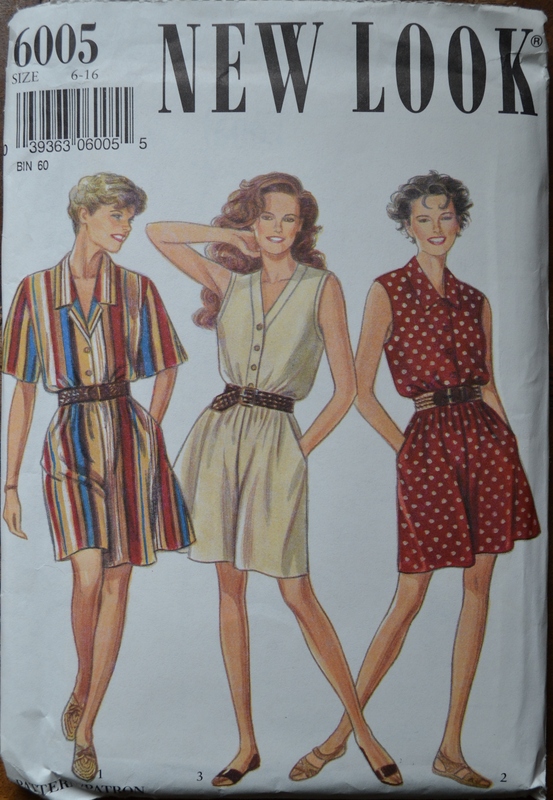 Rompers will forever remind me of junior high gym suits, but the fuller cut of the bottom could be more flattering than more recent versions. Another New Look pattern, and this one could be selling right now. How cute is that red dress? 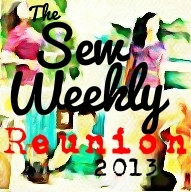 My favorite find from my stroll down pattern memory lane was a little older than the rest. 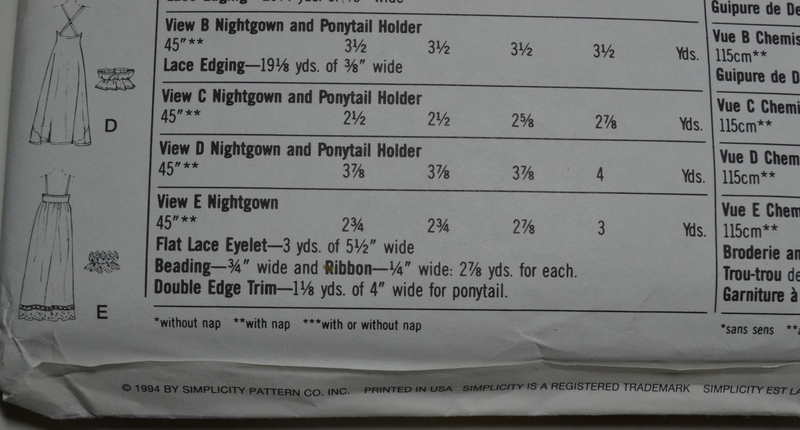 My mother still had a pattern I used in 1975. I made it in red and wore it to a Valentines Day dance in college. I loved how the skirt moved. 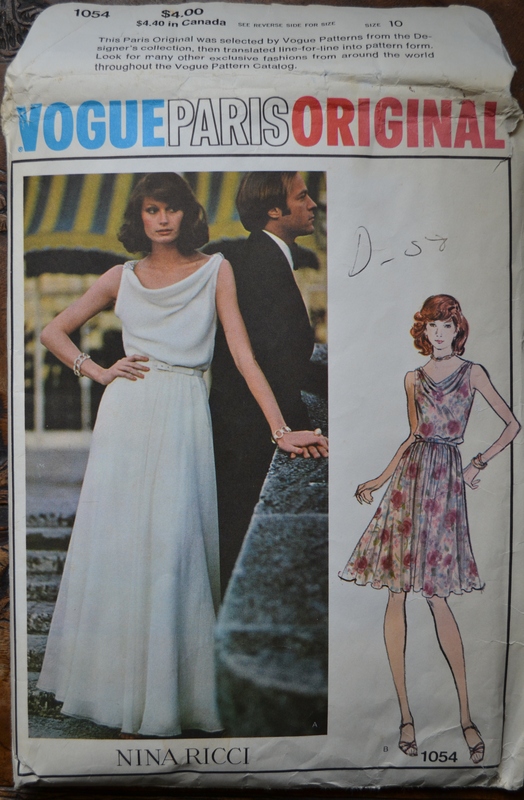 It may be a little mother of the bride looking, but in such a classic style, who would think it’s nearly 40 years old. ← Sometimes You Find the Fabric, Sometimes the Fabric Finds You. How funny, I have just been searching nightwear after watching downton abbey! They don’t have sloppy bed wear consisting of fleece and baggies!they are definitely of the crafty type! Looking forward to seeing a post on Downton inspired nightwear. We won’t be seeing the show here again until January. Hehehe! Ok! It was episode two here last night, I love it! Oh, I hope it’s good. It will be something to look forward to in the winter. Did we really wear those styles? What a look back. A few are timeless; the Nina Ricci dress is beautiful. 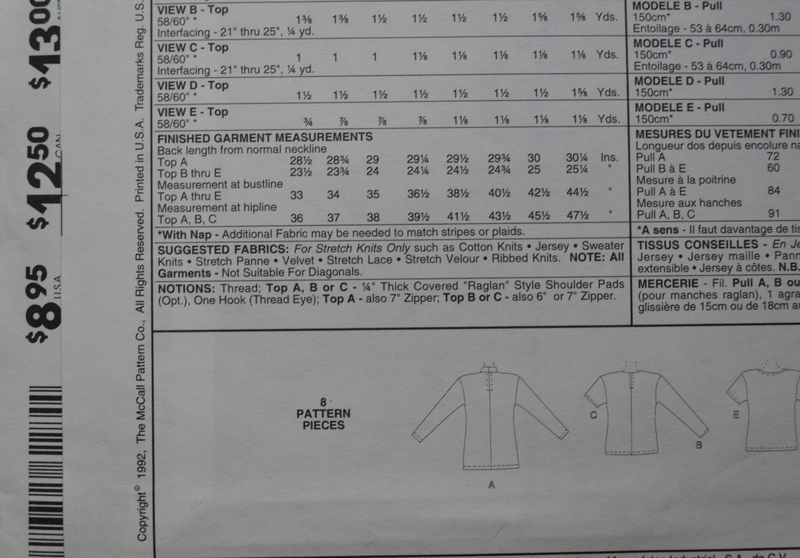 $4.00 for the pattern! I hope mom does well. The shoulders and volume of the era just amaze me. We are in count down mode for the move to South Carolina and just this weekend my mother mentioned wanting to take all her patterns. Thanks for the well wishes, we may need it.